From no quilts to show last week to a quilting boom this week! First up are two pretty tops made by Jannette in Canada and quilted by my. 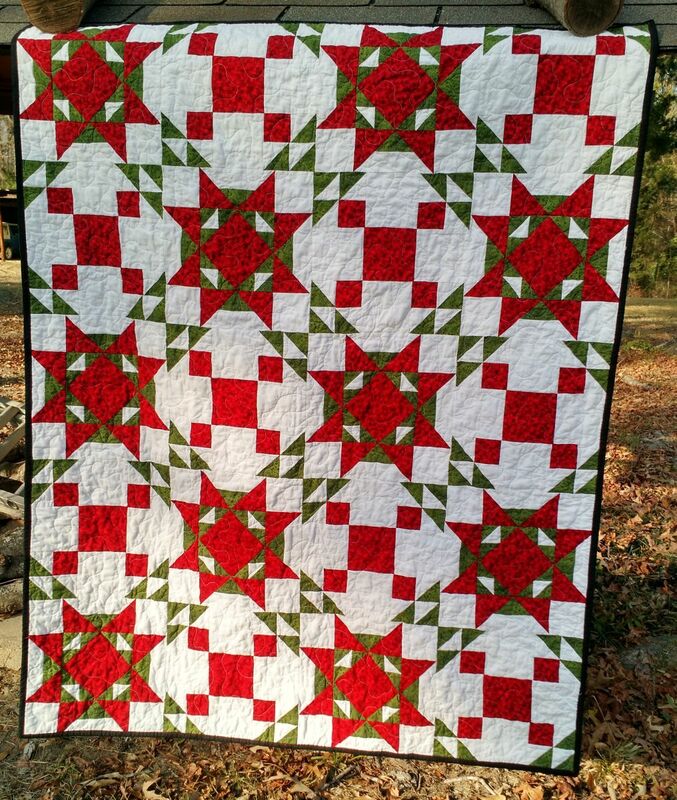 Jannette sent in 6 tops for Covered in Love a while ago so there will be more of her pretty quilts to come soon. 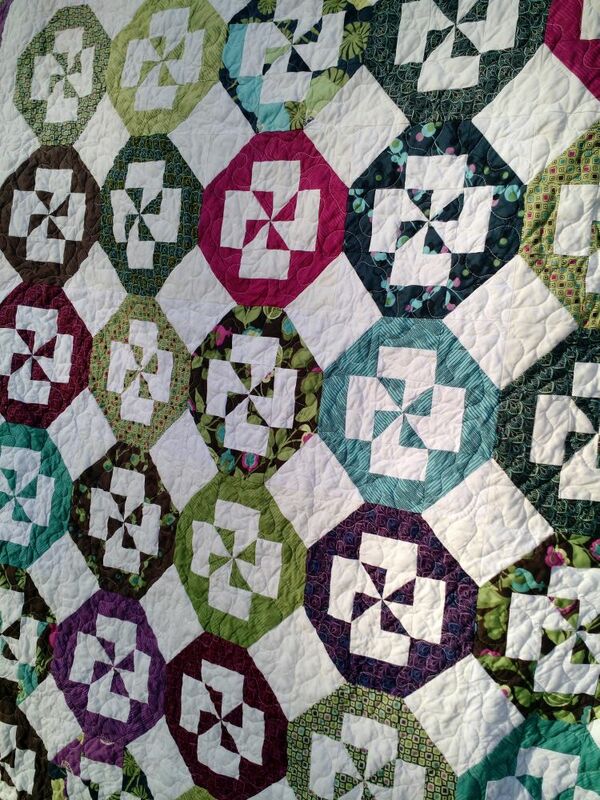 This very pretty jewel-toned quilt might be my favorite from the batch; I especially like the narrow border. It's about 55x70", a perfect size. I quilted it with a stipple. Many of you have donated backing fabrics, so I haven't had to buy backings in quite a while. Thanks! 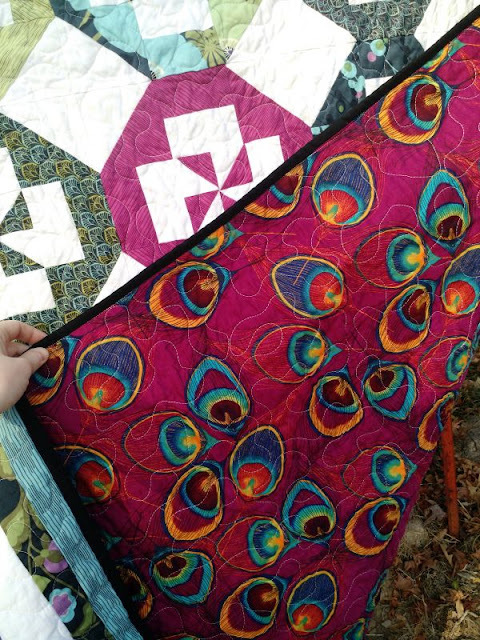 Both these quilts got backings from a generous quilter named Sandra who must have a beautiful stash. This second top of Jannette's could be a Christmas quilt, depending on the binding, backing, and quilting decisions. I chose to use non-holiday fabrics to make it more flexible. Both these quilts got a solid black binding courtesy of Nicki who sent two large rolls of prepped binding. 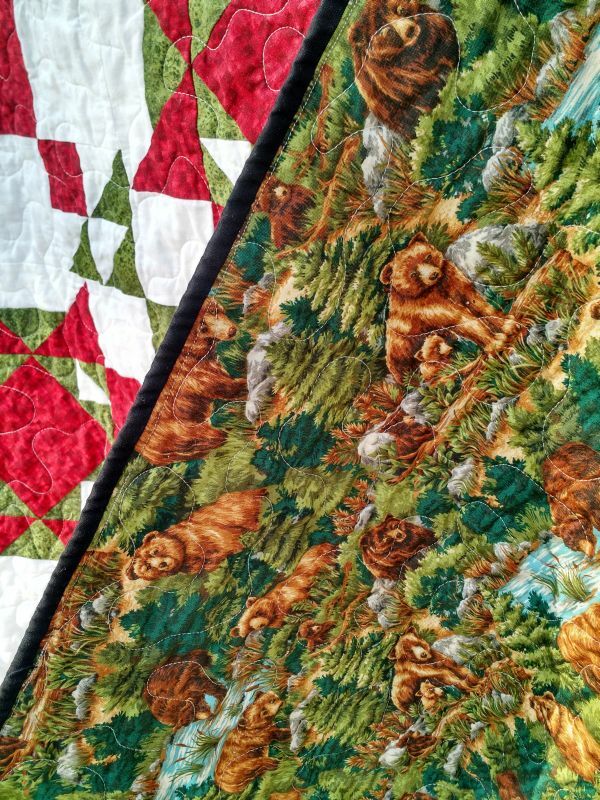 I thought this grizzly bear fabric was a nice compliment to the green in the top and would be appreciated by a man. It takes a village to keep CiL going, thanks to Jannette, Sandra, Nicki, and all the rest of you! 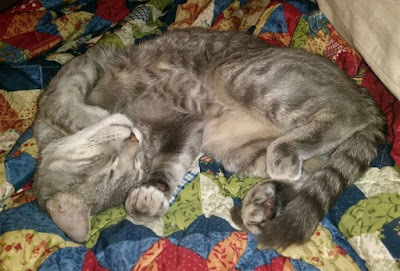 Moo kitty says, "Stay warm and sleep tight!" If you'd like to join in with Covered in Love's mission you can learn more on the main page or check out the block drive. 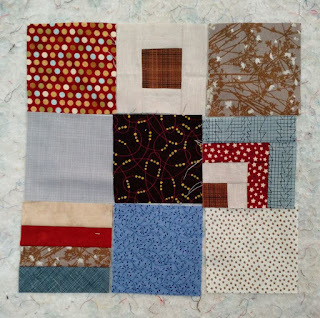 The current Covered in Love block drive is a cozy patchwork interspersed with pieced blocks. It will run until the new year if you want to help out. More info here! Two lovely finishes. 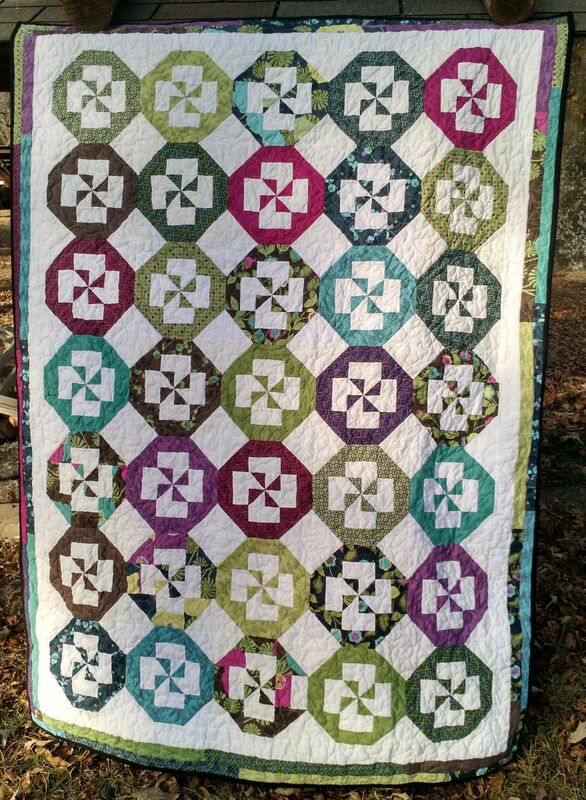 I also love those quilts. It was very thoughtful of you to keep the red and green colored one without anything holiday specific. I don't celebrate christmas but if I did, I'm sure I would be that person who never got around to putting her decorations away. At least this way the quilt doesn't look stale the rest of the year. Meanwhile, Merry Christmas to you Kat. I hope you have some fun and relaxation, in the midst of quilting, and that you get some quality family and cat time! That peacock feather backing is sooooo gorgeous! You're right, Sandra's stash must be amazing! Wow! You’ve been quite busy making beauty! I put 11 blocks in the mail today. Annual String Fling + Giveaway! !